Picking his spots and staying patient. Germany's Arne Kern may have started Day 4 of Event #21: $1,500 No-Limit Hold'em MILLIONAIRE MAKER near the bottom of the counts, at the end of a long day he was the one that became a millionaire. “At first I was short-stacking, playing pretty tight. I picked my spots. I waited until other players busted," the 28-year old German said after claiming the mouth-watering first-place prize of $1,173,223. Kern's largest previous tournament score was just over $28,000. With one tournament, he's an instant millionaire and can call himself a WSOP bracelet winner. When the official final table was reached, Kern was dwelling at the bottom of the counts, sporting a stack of just 13 big blinds. He managed to double up early with king-ten of spades against the ace-jack of Michael Souza. Although an ace flopped, the turn and river brought running spade cards for a flush to score the pivotal double-up. Kern didn't look back after that and rocketed up the counts after eliminating British poker icon Barny Boatman in 7th place. Holding ace-jack, Kern hit a jack against Boatman's ace-king and Kern's supporters in the Brasilia poker room erupted in cheers as their champion eliminated the two-time bracelet winner. The German received the seven-figure prize and coveted bracelet after defeating England's Sam Razavi in a lengthy heads-up battle. It was a worthy heads-up match as the two swapped chips for nearly two hours. In the final hand of play, Kern moved all in with four-deuce of spades and Razavi snap-called with ace-jack. The flop brought a flush draw for Kern and the turn completed it, ending things on the spot. "I'm not very proud of that" joked Kern when he was asked about the final hand of play. "I may have read the stack sizes a bit wrong but it all worked out. It's a dream come true." There was no shortage of stories at the 2018 MILLIONAIRE MAKER final table, with those of 2015 Main Event champion Joe McKeehen, Justin Liberto and the aforementioned Boatman standing out. McKeehen saw a deep run come to an end in third place; his second third place of the series after a deep run in Event #3: $3,000 No-Limit Hold'em Shootout ($101,766). McKeehen added $538,276 to inch closer towards the 11M mark in WSOP winnings. "I tried to play tight when we got shorthanded and I know Joe McKeehen is a very dangerous player. I did not want to double him up," Kern said about the former world champion. During three-handed play, McKeehen was left severely short when his pocket kings were outflopped by Razavi's ace-eight, and he was eliminated just a few hands later. 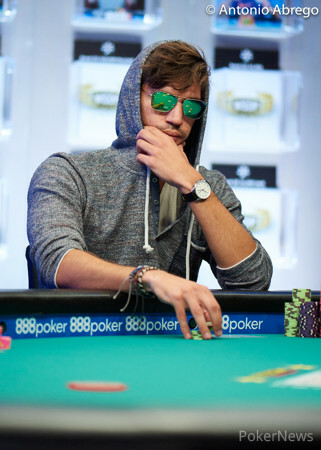 Liberto made WSOP history becoming the first player to make the MILLIONAIRE MAKER final table twice. After finishing 4th in the 2013 edition, taking home more than $400,000, Liberto put on another impressive performance in this year's event. He was eliminated in 5th place when his king-queen failed to improve against the ace-jack of Michael Souza. Liberto took home $303,294 and has now earned nearly $3,000,000 throughout his illustrious poker career. The day started with 17 players and German high roller Manig Loeser ($51,188) would become the first to bow out. The classic race with pocket queens against Manuel Ruivo's ace-king landed the wrong way for Loeser. Aaron Messmer, Jared Narzem, Enio Bozzano and Richard Dixon also saw their MILLIONAIRE MAKER dream shatter just before the final table. 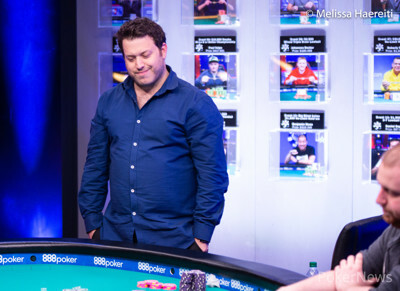 For Michael Finstein (12th - $82,018), the tournament ended in brutal fashion. Finstein was all-in with ace-king against Ruivo's ace-queen and saw not one, not two, but all three queens roll off the deck to be dealt the infamous death by quads. Kelly Wolfe finished in 11th place after losing ace-king against McKeehen's pocket threes, and start-of-the-day chipleader Chad Hahn bubbled the final table with jack-ten versus McKeehen's pocket fours, who once again held up with a small pair. At the final table, Sean Marshall (9th - $104,987) was the first to go after shoving pocket fives into Boatman's pocket jacks. Ralph Massey (8th - $135,383) ran ace-queen into pocket aces to bow out in hand #40, and Boatman (7th - $175,865) fell next with ace-king against Kern's ace-jack. Holding aces earlier, Ruivo was now the one to face aces as he shoved his pocket nines into Razavi's aces to finish in 6th ($230,120). 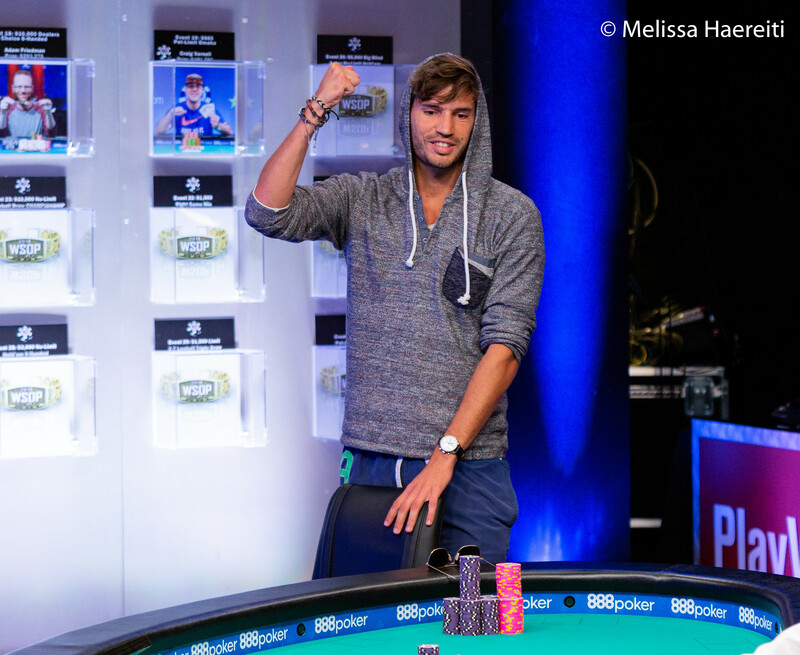 Liberto's second MILLIONAIRE MAKER run ended next (5th - $303,294), before Souza busted in fourth ($402,614). It was another ace-king versus the pocket queens of Razavi, and Souza couldn't catch up. After McKeehen's elimination in third, Kern and Razavi played a lengthy heads-up battle of 62 hands and a span of nearly two hours, and it was all over after exactly 250 hands at the final table when Kern made his flush on the turn. That concludes the PokerNews coverage of Event #21: $1,500 No-Limit Hold'em MILLIONAIRE MAKER. Congratulations to Arne Kern, who can now call himself a millionaire! 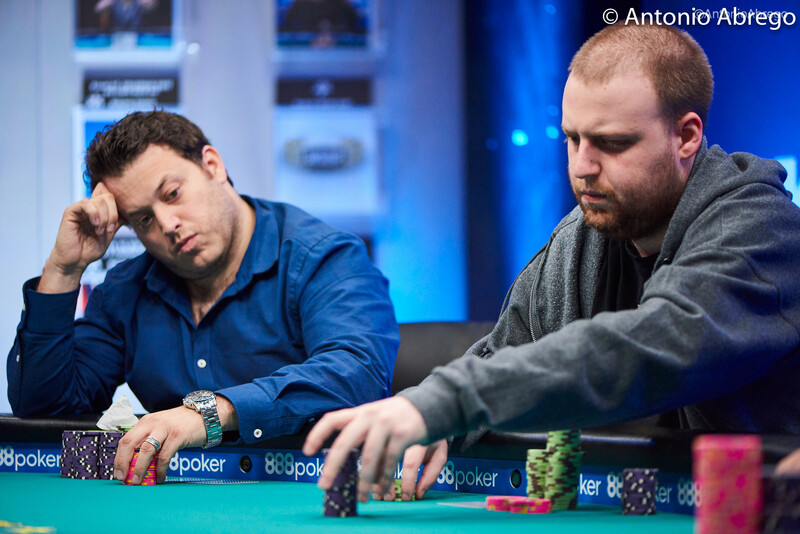 Hand #250: Arne Kern moved all in and Sam Razavi snap-called for his last 11,700,000. The dealer spread the flop and Kern picked up a flush draw to go with his live cards. The turn brought the and Kern improved to a flush, leaving Razavi drawing dead on the spot. The meaningless hit the river and the two players shook hands as their memorable heads-up match had come to an end. 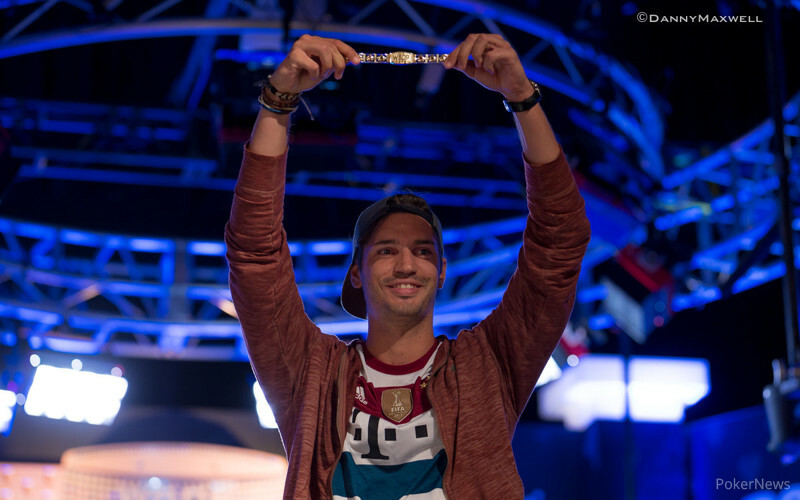 Sam Razavi finished as runner-up and will take home his largest career tournament score of $724,756. Arne Kern is the winner of the 2018 World Series of Poker $1,500 No-Limit Hold'em MILLIONAIRE MAKER for $1,173,223! A recap of today's action is to follow. 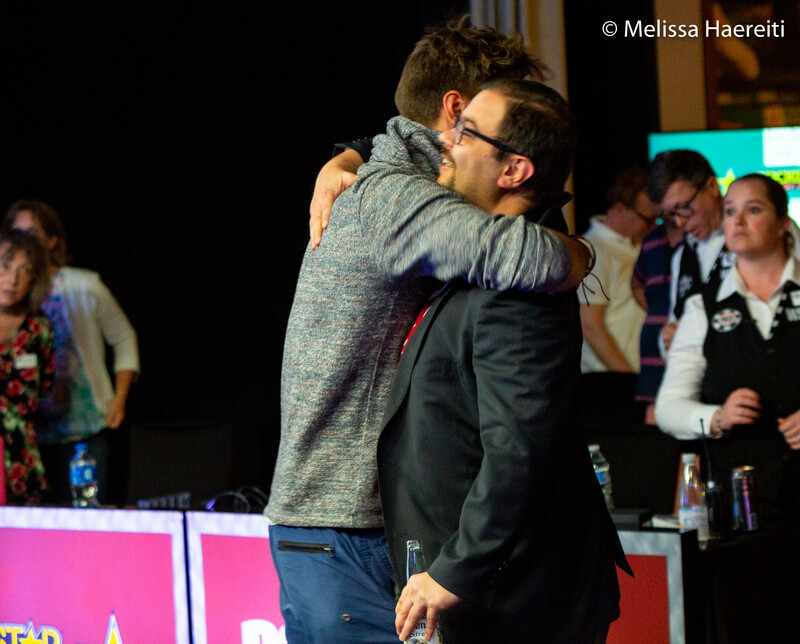 Hand #243: Sam Razavi raised to 2.4 million from the button and won the pot uncontested. Hand #244: Arne Kern raised to 1.9 million from the button, Razavi folded, and Kern took the pot. Hand #245: Kern got a walk in the big blind. Hand #246: Kern raised to 1.7 million from the button and Razavi called. The flop came and both players checked. The turn brought the , Razavi checked, Kern bet 1.8 million, Razavi folded, and Kern took the pot. Hand #247: Kern got a walk in the big blind. Hand #248: Kern called from the button and Razavi checked his option. The flop came , Razavi checked, Kern bet 800,000, Razavi folded, and Kern took the chips. Hand #249: Razavi called from the button and Kern checked his option. The flop came and Kern check-called a bet of 1 million from Razavi. The hit the turn and both players checked. The fell on the river, Kern bet 1.4 million, Razavi folded, and Kern took the pot. Hand #239: Sam Razavi raised to 2,400,000 and Arne Kern called. They saw a flop of and Kern checked. Razavi bet 1,900,000 and Kern called. The turn was the and both players knuckled the felt. The river was the and Razavi checked to Kern who bet 2,500,000. Razavi called and Kern showed for kings full of threes. Razavi fired his hand into the muck and Kern took the pot. Hand #240: Kern called and Razavi checked. They both checked the flop as well as the turn card. The river was the and both players checked. Razavi turned over for nines and sixes and Kern mucked. Hand #241: Razavi limped in and Kern checked. They both checked the flop and the dealer burned and turned the . Kern checked, Razavi bet 800,000 and Kern folded. Hand #242: Razavi got a walk in the big blind. Hand #234: Arne Kern raised from the button and won the pot uncontested. Hand #235: Sam Razavi raised to 1.8 million from the button, Kern folded, and Razavi won the pot. Hand #236: Kern called from the button, Razavi raised to 2.8 million, and Kern called. The flop came and Razavi bet 2.5 million. Kern folded and Razavi took the pot. Hand #237: Kern got a walk in the big blind. Hand #238: Razavi got a walk in the big blind. Hand #226: Sam Razavi got a walk in the big blind. Hand #227: Razavi limped in and Arne Kern checked. They both checked the flop and did the same when the hit the turn. The river was the and Kern checked. Razavi bet 800,000 and Kern quickly folded. Hand #228: Kern raised to 1,700,000 and Razavi folded. Hand #229: Razavi raised to 2,200,000 and Kern folded. Hand #230: Kern raised to 2,000,000 and Razavi folded. Hand #231: Razavi limped, Kern raised to 2,500,000 and Razavi folded. 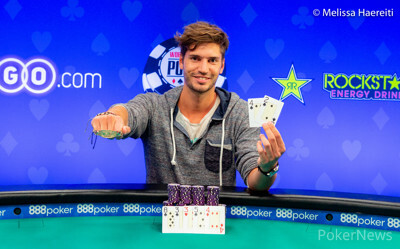 Hand #220: Arne Kern raised to 1.8 million from the button and won the pot uncontested. Hand #221: Sam Razavi raised to 2.4 million from the button, Kern folded, and Razavi took the pot. Hand #222: Kern called from the button and Razavi checked his option. The flop came and Razavi check-called a bet of 800,000 from Kern. Both players checked the turn and river. Razavi tabled and his hand was good enough to win the pot. Hand #223: Kern got a walk in the big blind. Hand #224: Kern called from the button, Razavi raised to 2.6 million from the big blind, and Kern called. The flop came , Razavi bet 2.7 million, and Kern folded. Hand #225: Razavi called from the button and Kern checked his option. The flop fell and Kern check-called a bet of 800,000 from Razavi. Both players checked the turn. The hit the river, Kern bet 2.8 million, and Razavi folded. Hand #214: Sam Razavi gets a walk in the big blind. Hand #215: Razavi limped in and Arne Kern checked. They saw a flop of and Kern checked. Razavi bet 800,000 and Kern quickly folded. Hand #216: Kern moved all in for 12,200,000 and Razavi folded. Hand #217: Razavi limped in and Kern checked. The dealer fanned the flop and Kern check called a bet of 800,000. Teh turn was teh and Kern led out with a bet of 1,300,000. Razavi folded and Kern took the pot. Hand #218: Kern moved all in for 14,800,000 and Razavi folded. Hand #219: Razavi moved all in and Kern called for his last 15,700,000. Razavi showed but was dominated by the of Kern. "I'm using my official one time now" said Kern just as the dealer spread the flop. Razavi picked up a gutshot straight draw and his rail yelled out for a four or five. The turn and river were no help to Razavi and Kern doubled up to move back into the chip lead. Hand #211: Arne Kern got a walk in the big blind. Hand #212: Kern called from the button, Sam Razavi raised to 2.4 million from the big blind, and Kern folded. Hand #213: Razavi raised to 2.4 million from the button and Kern called from the big blind. The flop came and Kern checked. Razavi bet 2 million, Kern check-raised to 5 million, and Razavi called. The turn brought the and Kern shoved, putting Razavi to a decision for his stack. He called to put himself at risk and the two players tabled their hands. Razavi had the lead with trips and Kern needed to make a straight on the river in order to win the pot and end the tournament. After the hit the river, Razavi took the pot to double up.